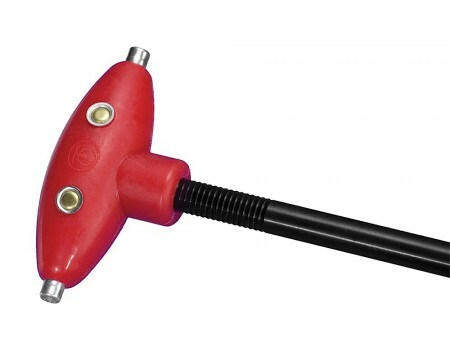 Made of soft Bio-Flex, this handy accessory fits over the end of your ramrod, enabling you to exert steady pressure on your ramrod while seating the projectile. Especially useful in the field when you don t have a long ramrod. It is molded over a hard fiber core for superior durability and houses 4 spare 209 primers, with 2 ready for instant priming.